Bring on the 1000 miler. Been waiting a whole year for it to roll around. Should be good, can't wait. Hopefully the rain gods are kind to us. Two weeks out from the Rusty Nut's 1000 miler and more preparations have been made in the purchase of sheepskin seat cover - gotta do what you can to look after the bum on long rides! This was custom made at Sheepskin Sales, Otaki approximately 80km south of Palmerston North. 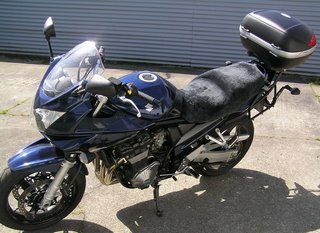 This is the second seat cover that I've got from here and was made while I waited. Was a bit worried about the weather before I left as it's been pretty crap lately. 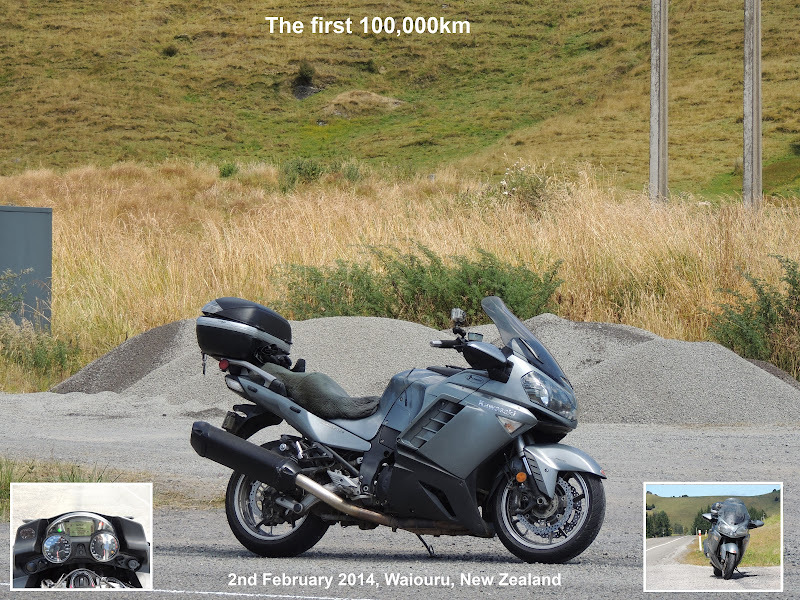 Turned out ok - only a few wet roads near Otaki. Coming back, a guy on a new Suzuki M109 sat behind me for a while and we played in the traffic until I turned off to go over the Opiki Road back into Palmy. Had a bit of scare when a cop went past the other way but he kept going. Also saw a guy from my mate's work heading the other way on his Rocket III. Got back to a nice day in Palmy so grabbed the dog and the mountain bike and headed down to the river. All was going well until when I was on the way back to the car the bolt holding my seat on sheared off! I guess that bolt had finally had enough (after about 14 years) of taking the abuse my body was giving it. The last 2ks back to the car were definetly the slowest! Well, this is another new experiment for me. With absolutely no experience of either reading or posting blogs I've decided to dive in. 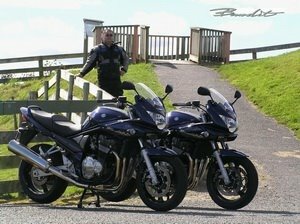 I'm not sure what's actually going to go on this blog but as I'm a keen biker (check out my website) it's bound to be pretty bike biased. I guess what you're most likely to see is diary type entries on what I've been up to - especially if it's got to do with bikes. Maybe one day discussions on bike related topics. I'll try to see if I can persuade some other riders I know to stick in there two cents as well.